Duotone gradients are two colors with a smooth transition between them. Nothing more, nothing less. 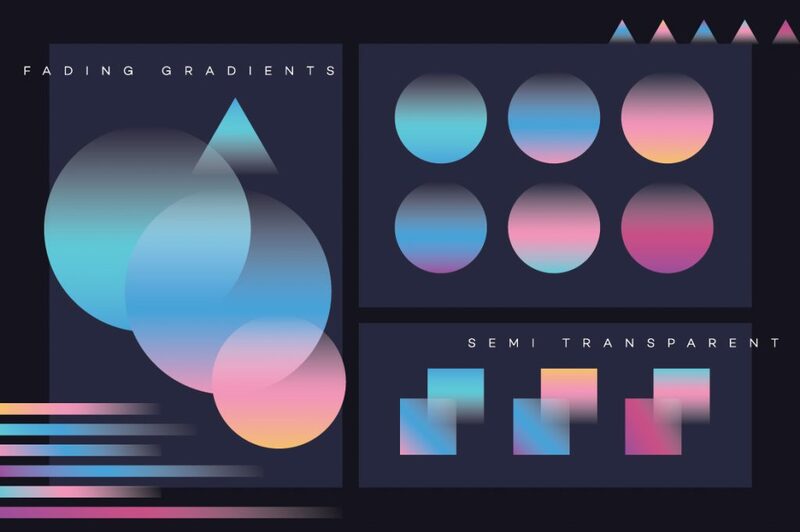 Its pretty simple to create these type of color transitions with gradient tool in Illustrator. 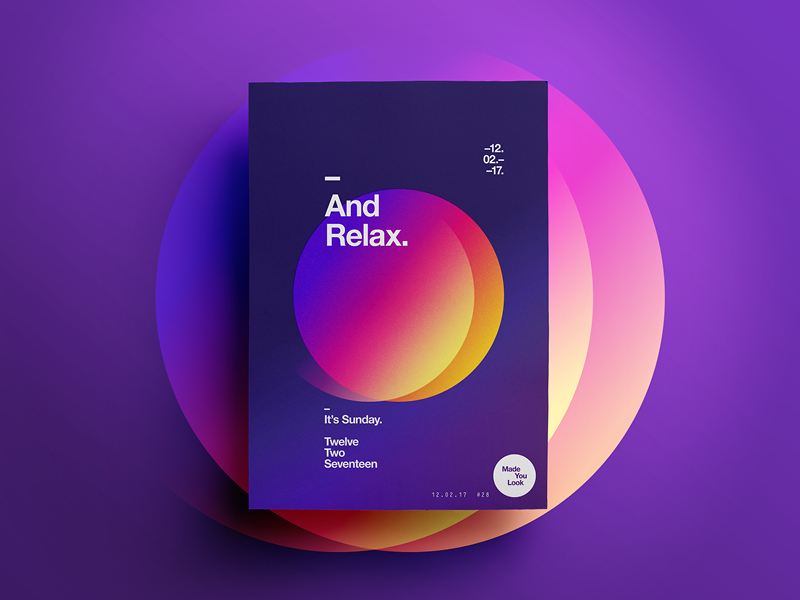 When combining colors for Duotone gradient there are no rules. Rules come when you mix 3 colors or more…but two…you can do anything you want. It all depends on your intention with the design itself. If you need a strong, bold message then you might want to consider using more vibrant, higher contrasting color combination. If on the other hand, you wish a soft, more quiet approach then use less saturated colors. HOW AND WHERE TO USE THEM? The good news is that you can be as creative as you wish with Duotone Gradients. The most widespread use of this type of gradients is photo overlays. They are mostly used as just a simple backdrop for the content. 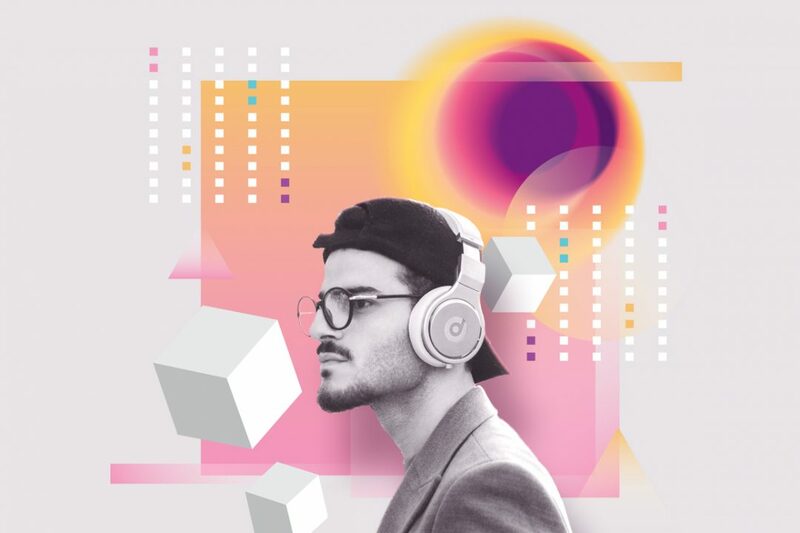 The example below is one of such use cases created by Jessica Hägg and Stink Studios for Spotify. 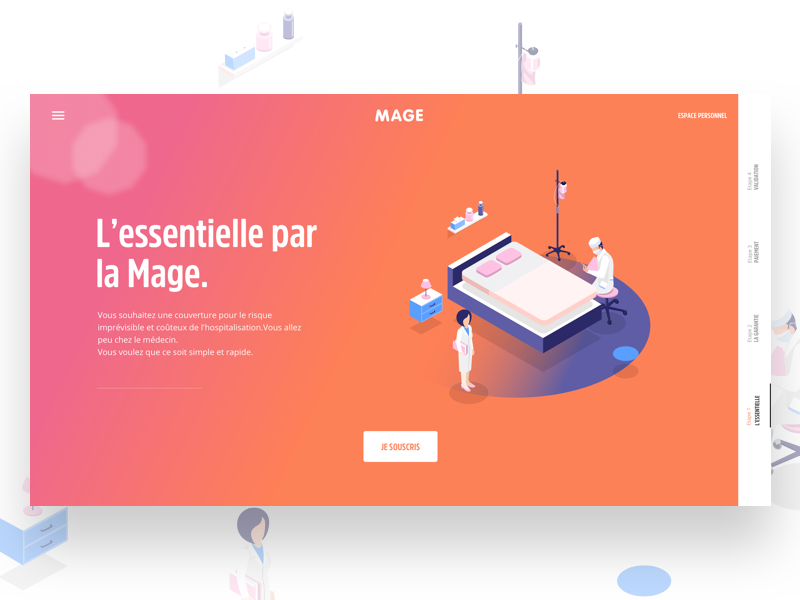 Another example of Duotone Gradient is in Home Navigation design created by Barthelemy Chalvet for AgenceMe. Here we again see the Duotone as a backdrop for the content. The content includes the text as well as an illustration. However, the colors used on illustration are chosen very carefully. Illustration has mostly light hues and just a few colorful details that are in contrast (cold) to the backdrop Duotone (warm). To conclude, the safest way to use Duotone Gradient Trends is if you mix them with black and white photos, or apply them as a photo overlay. If you are mixing them with other colors make sure not to go overboard. Multiple colors can be outstanding in designs, but they can also introduce confusion and clutter if not matched properly. When in doubt, use fewer colors. Less is more, in most cases. 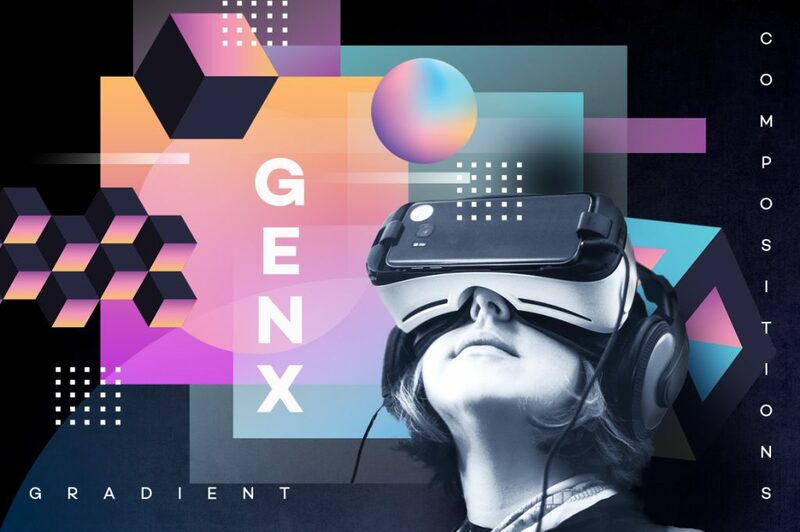 GENX Gradient Compositions Toolkit is a huge collection of gradient backgrounds, shapes, and textures that will help you create your own unique compositions fast and easy. 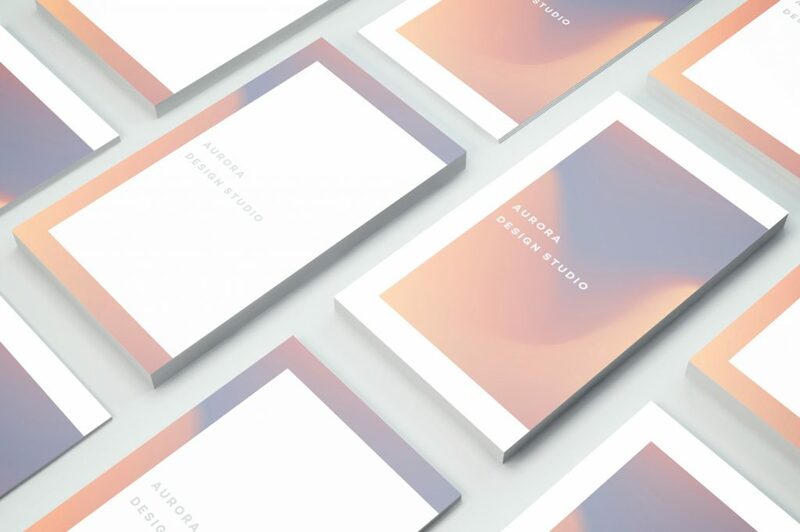 This pack also includes Duotone Gradients. 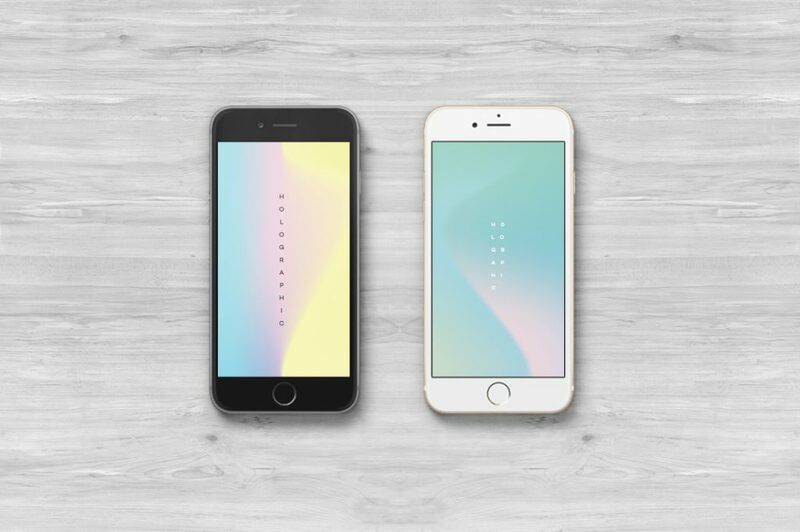 The Top 5 Gradient Trends include the Semi Transparent Gradients. 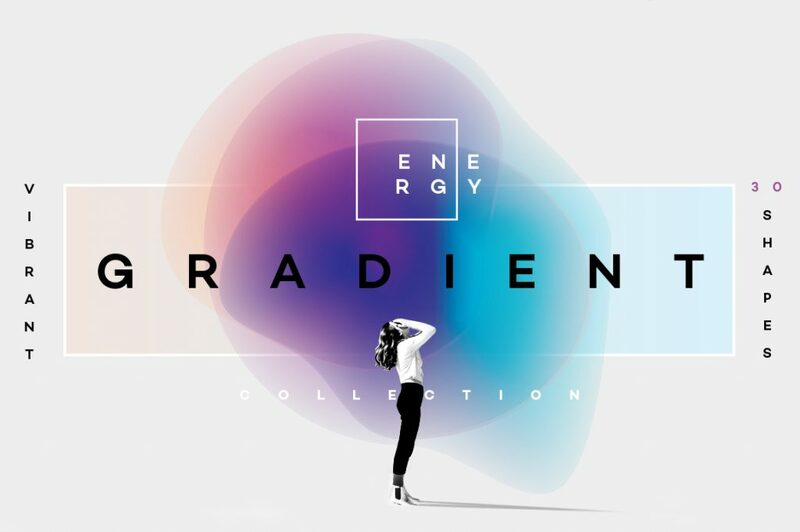 These type of gradients have a fading effect in them, they have a full color hue on one end while 0% color opacity on the other. These Semi-Transparent Gradients can be Duotones or even three-tone gradients but they always end or start with transparency. 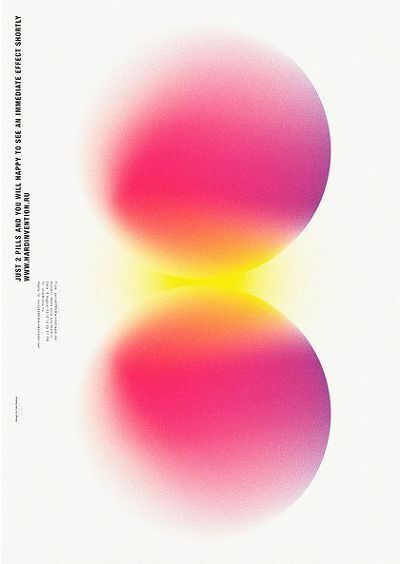 Here we can see the use of one Semi-Transparent shape over a Three-color gradient circle. 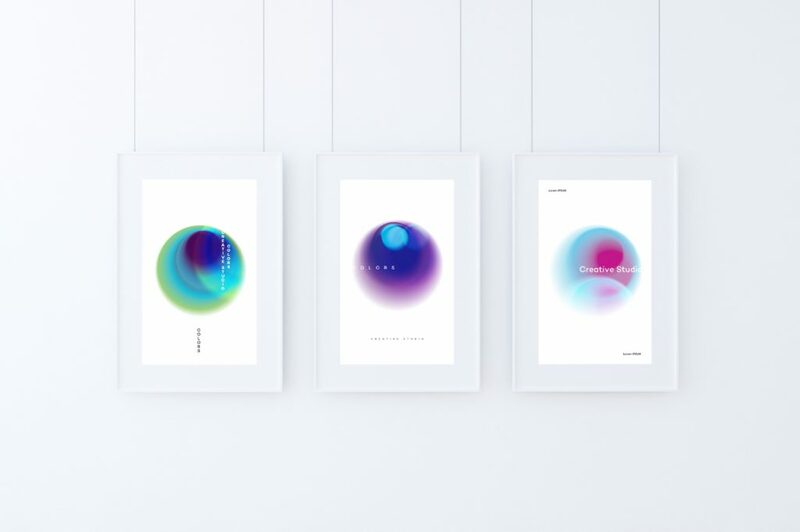 The subtle Semi-Transparent shape forms a foggy aura in front of a gradient circle, like a fading moon, simple but effective use of transparency effect. 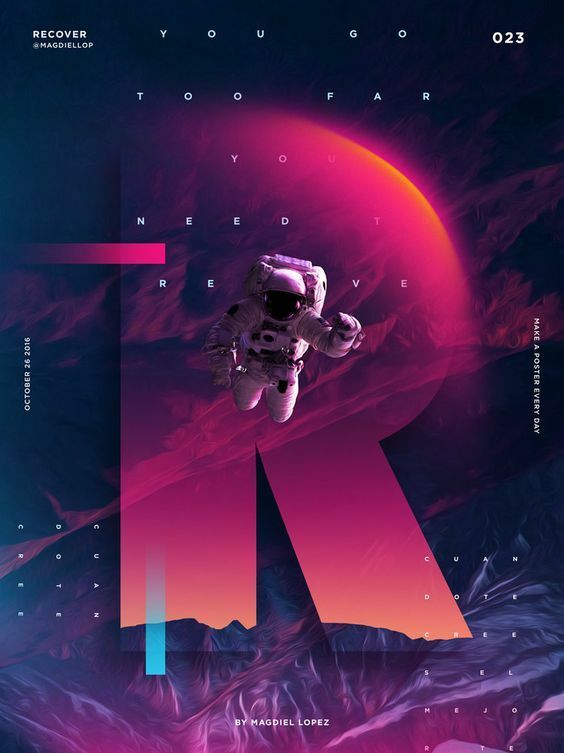 Another fantastic use of Semi-Transparent Gradients mixed with photography and textures can be seen on the poster artwork made by Magdiel Lopez. 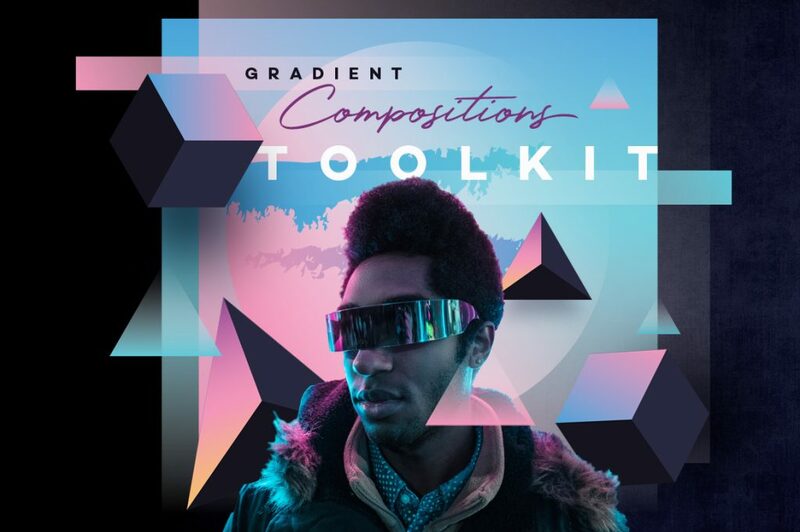 Semi-Transparent Gradients can also be found in my GENX Gradient Compositions Toolkit, just make sure to open them with Illustrator CS4 or newer, the semi gradient effects are not compatible with EPS10. 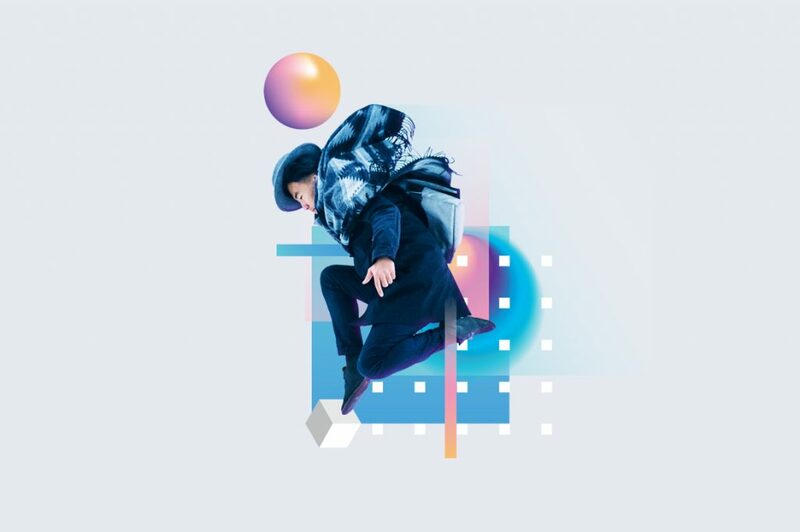 However if you are not using Illustrator, there is a high res PNG images available in the pack which can be used with any photo editing software. The example I made that uses the Semi Transparent Gradients from the GENX Toolkit can be seen below. Mesh Gradients are gradients made with mesh tool in Illustrator, hence the title. This type of gradients require a bit more skill to produce. Typically they mix multiple colors together, this should be produced with care, because some colors will not match well. Besides just mixing multiple colors together they also form a textural pattern, similar to liquid, which gives them a more dynamic look. By now you might have noticed how all gradients work wonderfully with black and white photos, that provides them with the contrast needed to enhance their color intensity. It also eliminates the clutter and the feeling that “too much is going on” in your design. Mesh Gradients can be used as a stand-alone pattern. Because of their often dynamic look they can be applied as a minimalistic pattern complemented with creative Typography. The use of Mesh gradients for branding purposes is also getting more popular. This type of use can be seen on the minimalistic branding project below, made by Focus Lab. If you need a premade Mesh Gradient backgrounds, look no more. 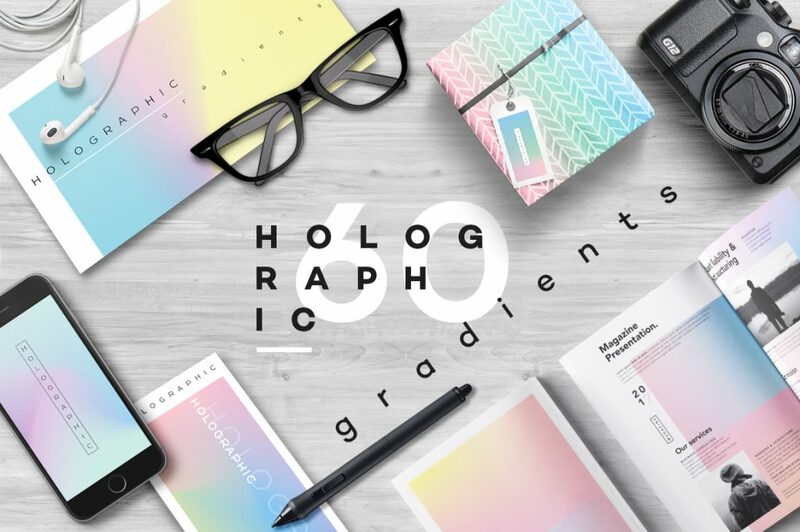 Holographic Gradients is a huge collection of 60 gradient backgrounds that will help you in your design work. 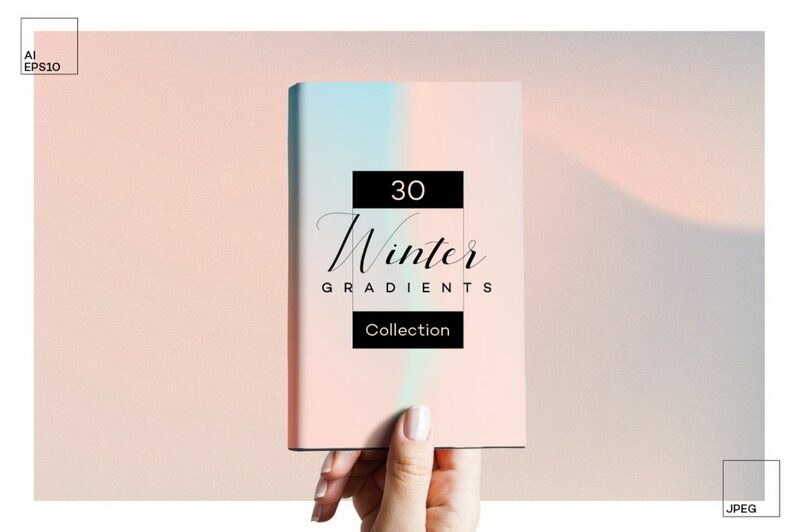 My second Mesh Gradients collection contains 30 colorful backgrounds inspired by Winter. All you need to do is choose which collection will work best for your project. 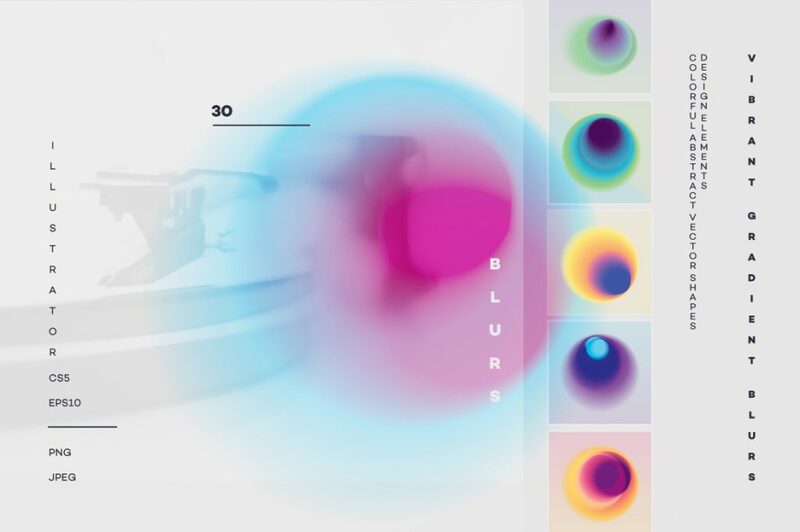 This is where things get interesting….introducing Gradient Blurs! I am sure you have seen these around, funny looking fellas that have a strong “artsy” feel. They are now a part of the Top 5 Gradient Trends. They seem to be applied often as a part of a poster design. The great thing about the abstraction is that it can be used to describe a variety of emotions and abstract concepts. It can illustrate a sound, light, universe, happiness or sadness. 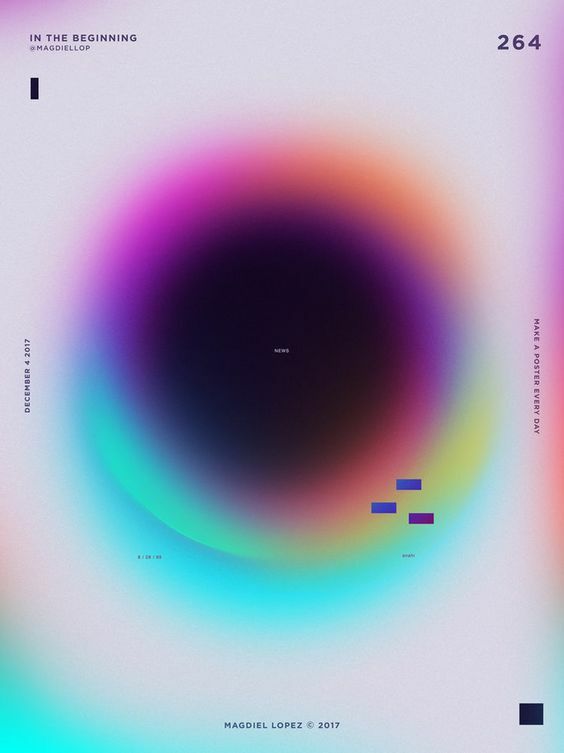 We simply don`t know how to describe many of these words but a carefully chosen blurry colored shape can do the trick for us. 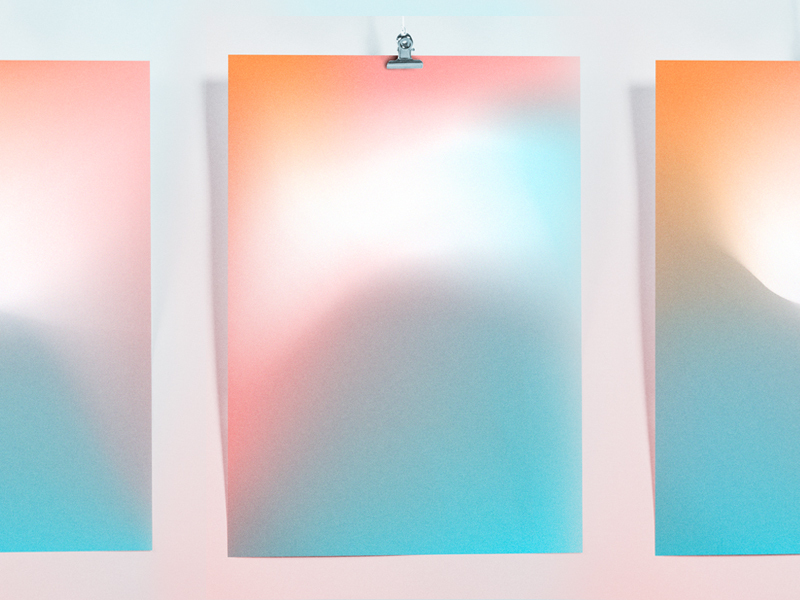 Gradient Blurs are tricky to create, they are a form of experimental artwork. 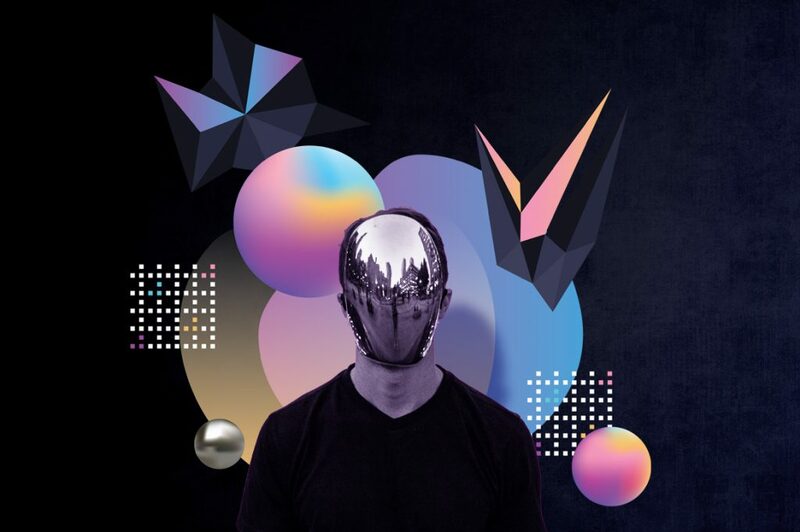 Collection that I made was an experimental project that resulted in many failed shapes but it also rewarded me with many interesting, creative shapes that were ultimately included in the pack. 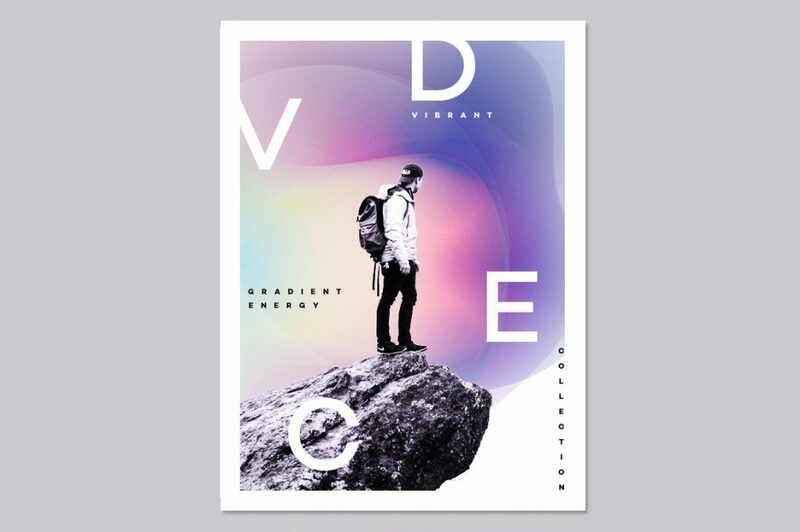 If you need premade designs, check the Vibrant Gradient Blurs collection. 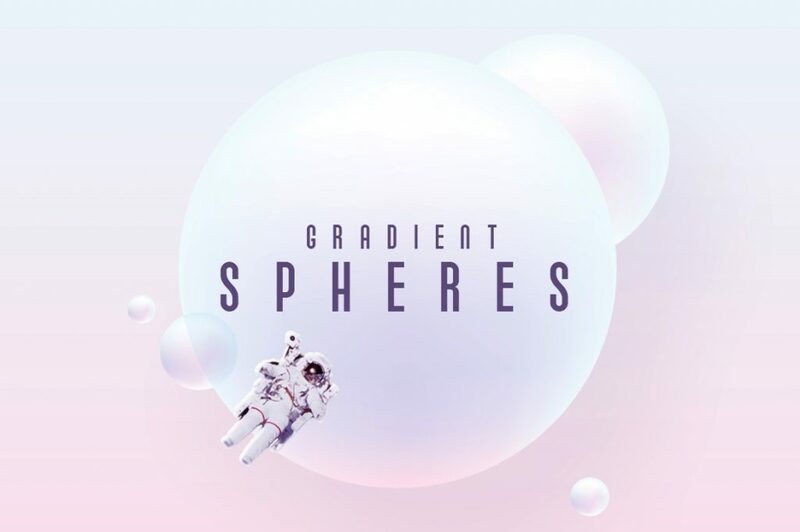 The last Gradient Trend are Gradient Spheres, meshed circles that have a strong three-dimensional form, reminding us on planets and bubbles. 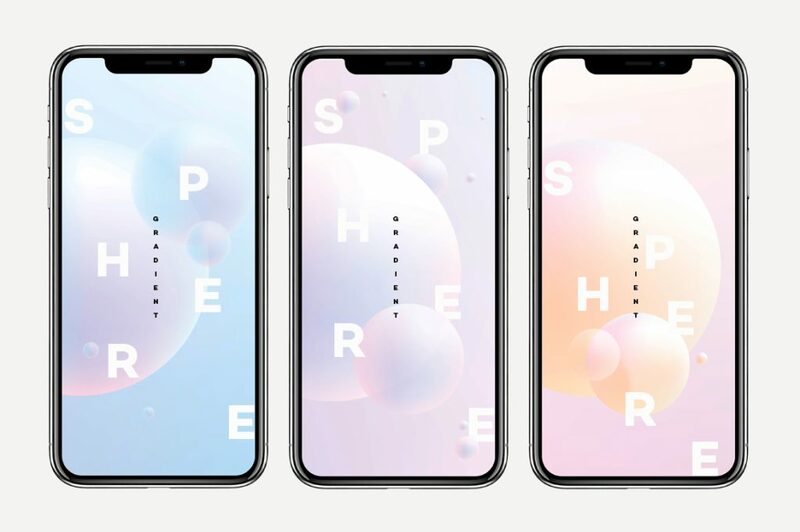 Gradient Spheres have found their place in application and web designs among other uses. Because of their resemblance to planet like objects they are often used in a techy- futuristic type of projects. 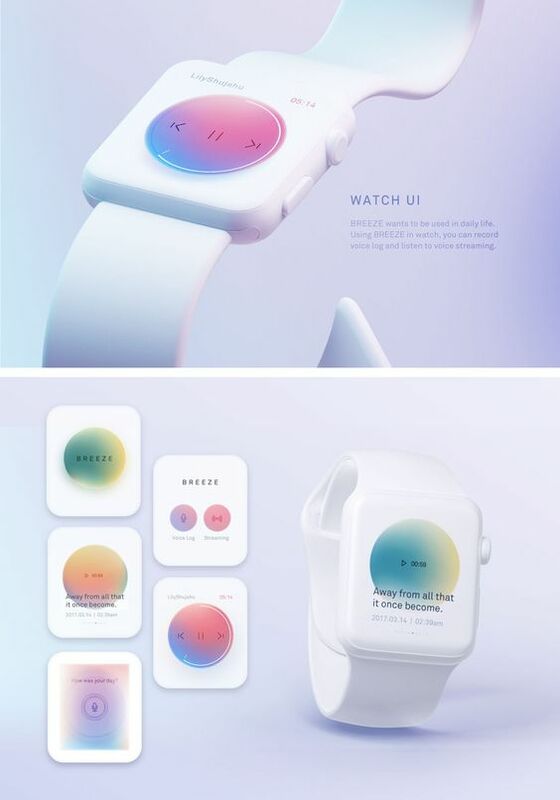 For example Jiyoon Kim used Gradient Spheres to design a creative Watch UI that has a light futuristic touch. 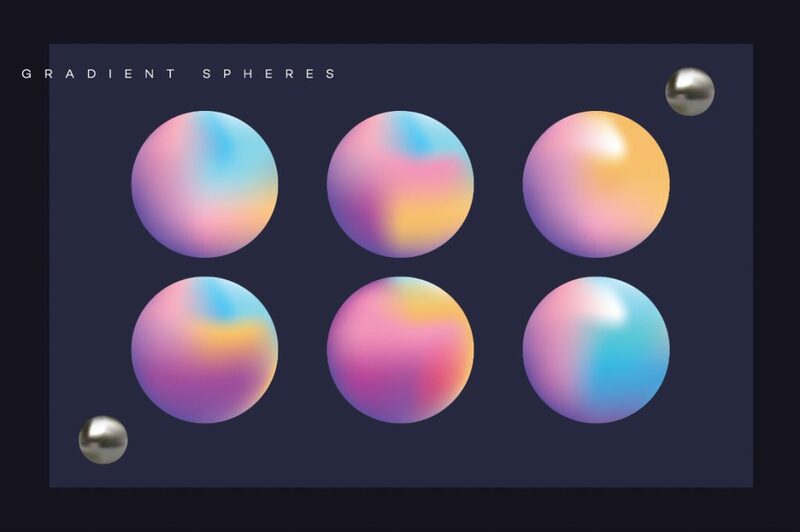 Gradient Spheres Collection has a set of lighter pastel colored spheres as seen on the example below. Depending on your project you will decide which set works best for you. If you are using a photo with your gradients, your first step should be the right choice for the photo. The best choice is the photo that has a clear focus and if possible there is nothing else going on around the focus. The second thing worth spending time on is the color of the photo. If the color doesn`t match your gradients in any way, the safest thing to do is to switch the photo to black and white mode. However, sometimes the colors can be tweaked to your advantage by using Color Saturation tool or Color Balance in Photoshop. That`s exactly what I did in this example. 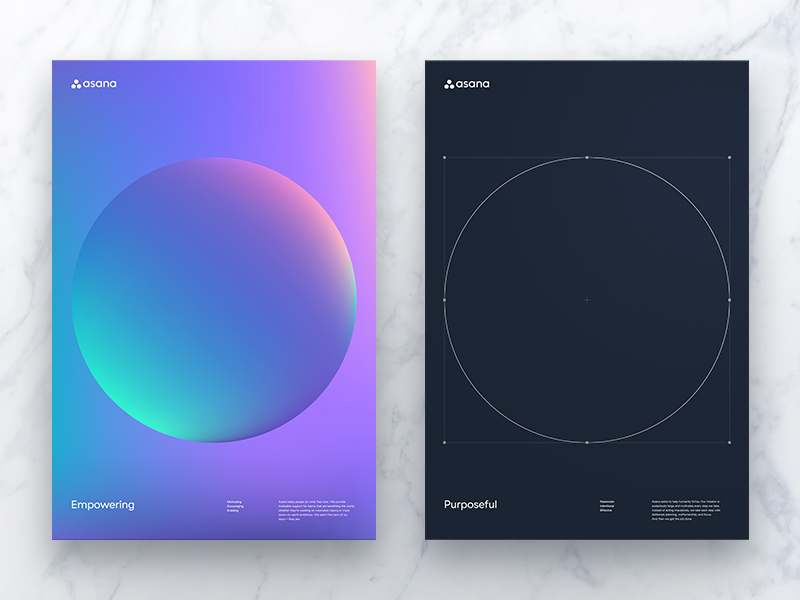 Third is the selection of Gradient Shapes and Backdrops. 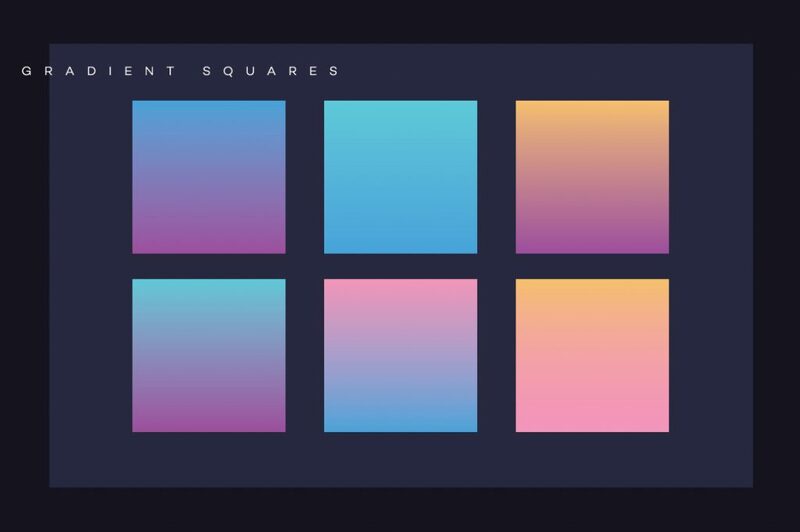 When choosing the right gradient objects make sure that they all have similar color hues. In my example, I used blue/purple objects in contrast with pink/yellow objects. These are all the colors that I need in there. Anything more and the composition would feel cluttered. It`s easy to cross the line though, so if you are not sure, just go with fewer colors and fewer shapes. If you have a feeling that something is still missing, add neutral geometric shapes, white if the background is light or black if the background is dark. Hopefully, this selection will help you in your creative work, if you have any comments feel free to leave them below!